A new documentary film about the history of computing is about to be released via Amazon, Netflix and iTunes. 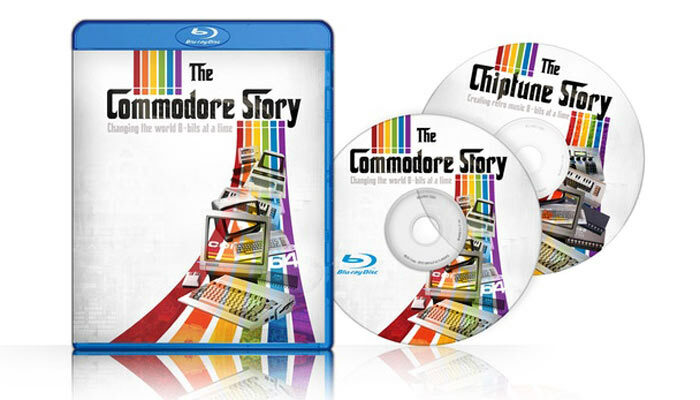 This particular film hits my retro computing sweet spot and is called The Commodore Story. The documentary covers the history of Commodore from the 70s through the 90s and discusses computers ranging from the PET, Vic20, C64 to the Amiga and beyond. Commodore really became a household name in the early 1980s when the current boss, Jack Tramiel, slashed the prices of the VIC-20 and C64 to bring about the 'home computer wars'. Battles ensued between Commodore, TI and Atari (plus Sinclair and Amstrad in the UK). The strategy looks like it worked out for Commodore as the C64 became the best selling computer of all time, setting it up for success in the upcoming 16-bit wars later in the 80s with the introduction of the Amiga against the Atari ST. The new film takes a view of what happened to Commodore from inception, early successes, then massive success, and what went wrong between that time and its sale to German PC conglomerate Escom, in the mid-90s. It also looks at the current day and the massive amount of interest that old Commodore computers and their software can inspire. There are still Commodore and Amiga related products hitting the market in the present day as seen in HEXUS news articles just last year. In August we reported upon the Vampire V4 standalone Amiga and all-in-one accelerator announcement, and in October we revealed the plans for a C64 Mini launch (due early in 2018 and still coming soon). The Commodore Story is released on 23rd Feb 2018 on Amazon, Netflix and iTunes. A Blu-ray will be available direct from TheCommodoreStory.com (£25, or £10 for just the digital download). Will be buying this on Bluray but will start by watching on Netflix when it releases.